The ancient Acacia represents renewal, fortitude and pureness throughout the world. In Freemasonry it is an emblem for the immortality of the human soul because of the ever green nature of this bush. It appears in various rituals including funeral services as a reminder that the soul, like energy, cannot be destroyed but continues beyond the Earth Plane. It was a common practice in Hebrew tradition to plant an acacia at the head of a person’s grave, particularly that of a loved one. Here we see the Acacia Spirit not only reminding us of our eternal nature but also symbolizing remembrance. As an incorruptible bush, the ancients used Acacia in place of any other plant that they did not have available. Part of the reason that the Acacia was so revered was thanks to its natural capacity to fight insect attacks. The instructions for the Ark were written on acacia wood. Some historians believe that the Tree of Life and the Burning Bush of biblical lore were both Acacia. In the Far East, various parts of the bush go into sacred incense for specific rituals. In Tibet, an incense of acacia burns away any ill-meaning ghosts and spirits. With all this in mind, a piece of Acacia wood might work well as a protective amulet. Finally on March 8 in various European countries including Italy, men present Acacia flowers to a woman as a sign of love and affection. In other areas International Woman’s day commemorates women’s liberation and the on-going struggle some women experience due to cultural rules. Both of these meanings can be applied to Acacia – adoration and freedom. This Tree Spirit blossoms with small yellow petals. While some species may bear red or purple flowers, yellow is by far the most common. Psychologically speaking yellow stimulates the mind and improves our outlooks. Acacia expresses yellow’s energy by brining joy and spiritual illumination. When you need new ideas or greater confidence for a project have a flowering sprig of Acacia nearby. Acacia is a divinatory plant. In a dream it represents growth in the area of prognostication and interpreting various divinatory signs. There are other potential meanings for Acacia in your dream. Use our dream dictionary to review the other elements of your dream for further insights. 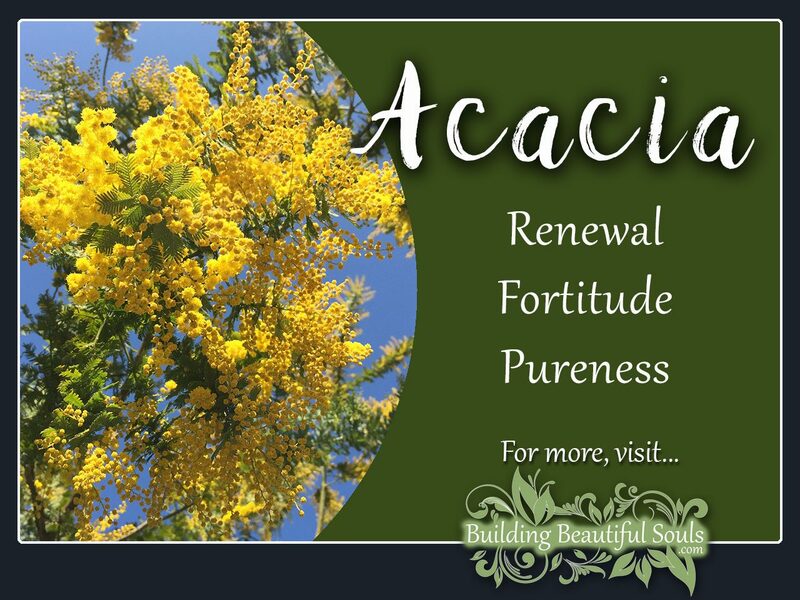 In both Greek and Spanish the name acacia means honorable or straightforward. In the Victorian language of flowers Acacia represents good friends, sophistication of a secret love. Acacia gum supports a healthy urinary tract and works as a tonic for respiratory problems. The tannin makes a soothing treatment for burns. This Tree is very nutritious and has been used by survivalists as a dietary supplement, typically served as a broth. Aboriginal people use both bark and leaf extract for toothaches, colds and healing burns. Acacia wood makes excellent ritual tools, particularly an Air wand. The thorns from this bush vibrate with strong protective energy and could be used to mark a sacred circle or the four direction. Since the ancients used Acacia to build temples, an acacia tree or grove makes a perfect location for magical workings. Use any part of the Acacia tree Spirit for love, prosperity, cleansing and as a ward against evil intention. The Egyptians mixed honey with Acacia sap and administered it as a love potion. Burn acacia resin to improve your insight for divination, as a means of invoking visions and for channeling spirits. Tells my fortune while I tarry. Whom O whom, am I to marry? Acacia resonates with the number 9 along with the element of Air and the planetary ruler of Mars. 9 is the number of the Goddess, which would imply Acacia has feminine overtones. 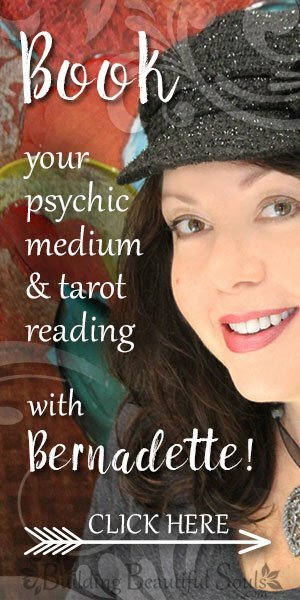 In numerology 9 represents global thinking and compassion. It also provides Acacia with the symbolic value of networking and connectedness. Use a wand of acacia when drawing the energies of the sacred space into accord. Acacia comes from Australia where it thrives in both tropical and temperate zones. The bush has so many practical uses that it’s the multi-tasker of trees. From edible shoots and tannin to perfume and paint made from the flowers, there’s literally no part of the Acacia that can’t be put to work. Look to Acacia when you have a lot on your plate, and let the Spirit guide you toward successful completion. The Book of the Dead talks about the Acaia as the tree of the gods. It’s said that all gods begin their existence in the Acacia tree of Heliopolis, Including Horus. The tree also has association with Ra as a protective power (and the all-seeing eye). In a dichotomy, The Book of the Dead also discusses spirits begin lead to the acacia tree to begin their journey in the next life. The Egyptians regularly used Acacia for idols and for making magical salves. Later legends linked the tree not only with birth but also with death and the afterlife. According to the ‘Book of the Dead’ some children lead the deceased to the Acacia tree. The coffin texts also refer to the Acacia tree; they state that parts of the Sacred Acacia tree of Saosis ‘squashed and bruised’ by the deceased. These parts were then said to have a magical healing effect. One legend tells us that Typhone tricked Osiris into a large wooden chest and thew it in the Nile. The box found its way to the shore at the food of an Acacia tree. The Acacia grew and grew until it enveloped the wooden chest. The King in the land where the Acacia grew cut it down to make a trunk, leaving only a column. Hearing of this, Isis (The wife of Osiris) became the nurse maid to the King’s children requesting the column as payment. Inside the Acacia column was Osiris body preserved perfectly. Another Acacia myth comes from Africa. It tells of a time when animals forgot kindness. A rabbit sat down at the trunk of an acacia tree and thanked it for its shade, asking if he might rest here for a while. The Acacia welcomed him and the rabbit slept for a time. When he work the Acacia told the rabbit how much he appreciated his kindness after so long of being ignored. As a reward, the Acacia opened its trunk showing the rabbit a magical garden filled with wonders. The tree told Rabbit to take something from his heart. Rabbit chose a golden band that he wore on his ear. Rabbit started home. Hyena saw Rabbit’s treasure and grabbed him. Hyena demanded to know where he got the band or he would kill Rabbit. Rabbit was so frightened he gave Hyena the secret of the Acacia tree. Hyena ran to the tree with other animals following. He commanded that Acacia open its trunk. It obliged. The animals all piled into the magical garden gathering piles of gems. They were so consumed by greed that they did not see the light fade and the trunk closing. When Monkey noticed, he alerted all the other animals who ran out of the tree only to find that their gems dissolve into dust. Acacia has since vowed never to reveal her heart again until goodness returns to the world.